Whether you’re traveling for a long vacation or an extended business trip, we know you want to park your car somewhere safe and affordable. 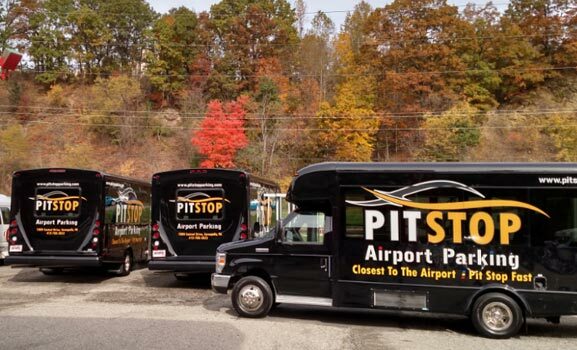 At PIT Stop Airport Parking, we offer long-term parking options that can make your Pittsburgh Airport parking experience an easy one. Trying to find a long-term parking spot at PIT can be a hassle. When you make a reservation at our Pittsburgh Airport parking company, however, you won’t have to worry about it. We offer easy valet service that takes care of the parking for you. Simply arrive at our location, check in, and hand us the keys. We’ll load your bags onto one of our fast, comfortable shuttles and send you on your way to catch your flight. While you’re on your way to the airport, we’ll park your car for you in our safe, spacious lot. At PIT Stop Parking, we love rewarding our customers, which is why we offer a rewards program called The Winner’s Circle for every type of traveler. When you join The Winner’s Circle, you’ll earn one point for every day you park with us. For every seven points earned, we’ll give you one free day of Pittsburgh Airport parking (which can really add up when you park with us long-term)! Whether you use your free day of parking for business or for pleasure, you’ll save even more with PIT Stop. Are you part of a business that does a lot of long-term traveling? Our Pittsburgh Airport parking company offers a corporate discount program that can help you save both time and money. Simply enroll your company today and you’ll enjoy guaranteed reservations every time you travel. In addition, you’ll get our lowest premium valet parking price and an added bonus when you sign up! For your next business trip or vacation, skip the long-term Pittsburgh Airport parking and make your reservation with PIT Stop instead.